During Nintendo's Wii U Direct back in January, a number of brand new titles were announced and teased in various forms, yet aside from the new Zelda Wii U and the Fire Emblem / Shin Megami Tensei mashup, Yarn Yoshi was the only title from that broadcast to not be mentioned or shown in some form during the E3 Direct. As part of an interview with Takashi Tezuka, IGN sought an update on the title and its status; as expected, Tezuka confirmed that it didn't feature as it wasn't ready to be shown off. With that in mind, it seems likely that mid to late 2014 is realistic for this title, unless the development team at GoodFeel go into overdrive. Yet with a busy lineup for the rest of 2013 and titles such as Mario Kart 8, Monolith Soft's X and Super Smash Bros. all pegged for next year, Nintendo is building up a decent first-party collection; Satoru Iwata has also promised more unannounced third-party games for Wii U. In terms of why GoodFeel was approached to produce this title in the first place, Tezuka's reasoning is simple — he liked the studio's work with Kirby's Epic Yarn. I looked at [Epic Yarn] and thought it was really beautiful. It seemed like it would be a good fit for Yoshi as well. We found that the Wii U would be able to make it a much more expressive game. It looked like it would be a lot of fun. Tezuka also provided assurances that the team is looking into the title's difficulty balance, after some accusations that Kirby's Epic Yarn was 'too easy'. Apparently the words used were all about balance, finding the right structure to challenge experienced gamers without excluding others. In any case, Yarn Yoshi has potential based on its theme and developers alone; we'll hopefully see more of it in the coming months. Another 2014 title. At least we won't have an awful drought next year like we did this year! "Tezuka also provided assurances that the team is looking into the title's difficulty balance, after some accusations that Kirby's Epic Yarn was 'too easy'." I never played Epic Yarn but I'm not sure why people were complaining, the Kirby games are always low in difficulty. The second year for this system is going to be great. Like every other system. At least there will be a few gems this year. They are a ton blockbuster 1st AND 3rd party games coming out as it is, with a lot of them being platformers. I can wait for this cute game. If it's not ready then I really wonder why it was shown so early on in the first place. But oh well, I'm still looking forward to this, as well as Yoshi's Island 3DS. Go Yoshi! You couldn't die in epic yarn. I never noticed it though when i played it. @Yosher - This is kind of off topic but that avatar is totally awesome! Seriously? I thought they couldn't make Kirby games any easier, looks like I was wrong. 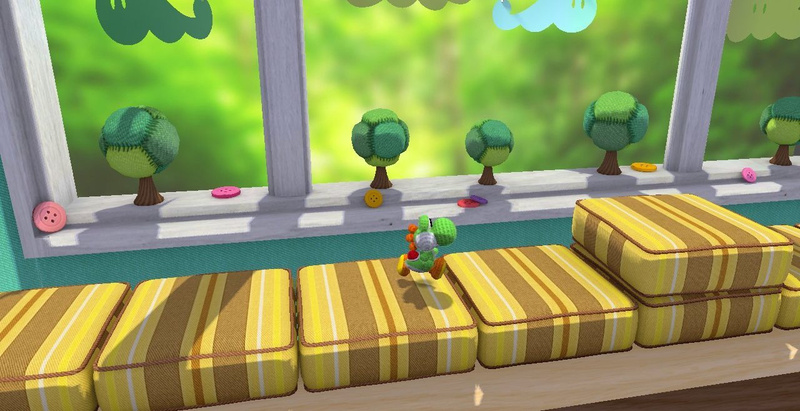 I probably won't even bother with Yarn Yoshi. I'm really looking forward to this title so I was a little disappointed that we didn't get to see it during E3. Seeing how packed this year is, it's not that bad a thing though. "It seemed like it would be a good fit for Yoshi as well." Dude, if you had looked properly initially you'd have realized that Kirby's Epic Yarn should have been a Yoshi game in the first place. Kirby fires out a long stringy thing to eat enemies... Would have fit so much better with Yoshi's tongue as this is an established gameplay mechanic for Yoshi. 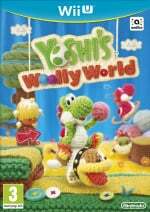 The whole stitched yarn and string style etc... Would have made much more sense as a follow up to Yoshi's Story, in terms of artstyle only, because that game originally had a similar style. Transforming into different forms and vehicles etc... The way this was done matches the original Yoshi's Island ability to change his form into different vehicles much better than Kirby's method of taking on enemies abilities. In fact, many of the transformations where the same as in the original Yoshi's Island, such as the mole and train abilities, even down to how they basically functioned. Collecting all the gems that fill up a visible bar... Once again this is very much just an extension of the fruit bar in Yoshi's Story. The wizard that basically turns everything into string (well he actually takes you to a world made of string but still)... Kamek is a wizard and he could have used his magic to do this, much like he uses his magic to transform things in previous Mario and Yoshi games (Blocks into enemies and bosses into giant bosses etc). This would have basically made some kind of sense in Yoshi's world and wouldn't require introducing a random character and slightly questionable plot device (something about a sock, seriously) just to try and explain or justify why everything is string. You already had another Kirby game in development, Kirby's Return to Dreamland, so why not just make it a Yoshi game and actually have a little bit more character/franchise variety in the Wii's library. Still, Kirby's Epic Yarn was brilliant, apart from being too easy obviously, and if this game matches the overall quality of that game, minus the being too easy part obviously, then it could be simply stunning. Mario Golf got pushed from being summer release too. So upset! 2014 is going to rock. Looking forward to this and Yoshi 3DS. I'm kinda surprised, because I was really expecting this game to come out this year, just as Epic Yarn came out the same year it was announced (alongside a DKCR too). I don't mind though. I already want to get DKCR:TF, Pikmin, Mario 3D World, W101, and Rayman Legends, plus several 3DS games. My money's spoken for. Perhaps these are enough of an excuse for Nintendo to have a Year of Yoshi to promote their products next year? Simple explanation - Retro said DKCTR is ready now. I know they aren't the same game, but close enough that you don't really need both at once. As for difficulty - DKCR 3DS had New mode, every game where possible should have Easy, Normal, Hard options at the start up menu. Im ok with Hard being locked until you beat the game on one of the other modes. Shame, would love to see more ASAP. This is one of my most anticipated titles! I have a feeling this Yoshi game is going to turn out better than Yoshi Island 3 but still. I can't wait for this new yarn-type Yoshi game to come out. I wonder what they'll call it. ashame it's quite a bit off but the "Year of Yoshi" sounds good. Then maybe it can start with Yoshi's Island on the VC! Visually speaking, this game from the screens I have seen is beautiful. As for the mechanics, I can't wait to learn more about it. While Yoshi isn't a character I love, the games with his namesake tend to be fun. Cannot wait to see this one. If Epic Yarn looked impressive in SD, this one will be unbelievably cute. I loved Epic Yarn and I never cared I could not die. The game is purposely easygoing and I wanted to see the beautiful patchwork without worries. Anyway, getting gold medals was a challenge, as well as the little missions with the friends you make in the game. While I agree with @Kirk, it is known that GoodFeel did not intend it to be a Kirby (or Yoshi) game, and they had created this game around Prince Fluff who looked an awful lot like Kirby. So they just tweaked the main character and kept Fluff for the second player. This basicly tells me the games getting a face lift, probably. Hopefully we hear something soon, i was looking forward to this game being shown at E3, but there was no mention, till' now. It looked cool at launch, but by the time they release all this stuff, PS4 launches so they gain 0 fans. Nobody will be excited for this game and rayman and all these delayed things when they can get the Ps4 and xbox one instead. I'm relieved to hear they're aware of the criticism of Kirby's Epic Yarn's difficulty,and are committing to address the issue. That was my ONE concern with this title. As long as it brings an entertaining challenge, this one will get the pre order treatment, just like all of Nintendo's other first party gems. People keep moaning about a lack of games. I'm still having fun with SMBU and there's Luigi U to come in the next 2 weeks, then Game and Wario then in July it's Pikmin 3. We've also got Wind Waker, Mario U, Watchdogs, Rayman, Wonderful 101, Splinter Cell, Ghosts and Donkey Kong. There's only 5-6 months left of the year folks. It's looking a lot brighter than the PS3 and 360's line ups. It's also nice to know that at £40 a game, Nintendo don't rush out half finished games, unlike some publishers. The only thing I want them to do differently is to embrace in house DLC for Mario, Zelda, Mario Kart etc. @Xcape_DuCkMAN_X Pushbacks? There were never release dates for those titles. That'd be cool. But I think another franchise deserves a year of their own. What are you, made of money? There's a flood of big Wii U and 3DS games coming from both the 1st AND 3rd party side as it is. I'd like to think people would be happy to have an excuse to save their wallets punishment. Unless this was your most anticipated game that is. @NintendoPro64 3ds kinda but wii u u mean next year right and what do u mean made of money? Oh I just meant that I don't see why anyone would be too disappointed about the game being put off since the Wii U's about to get a ton of games in general. I just thought people would appreciate having one less game to toggle with as figure out where to throw their cash. I don't mean to insult or offend. Hopefully it will be a awesome 2014 game! This is gonna be great when Yoshi finally gets it going together!